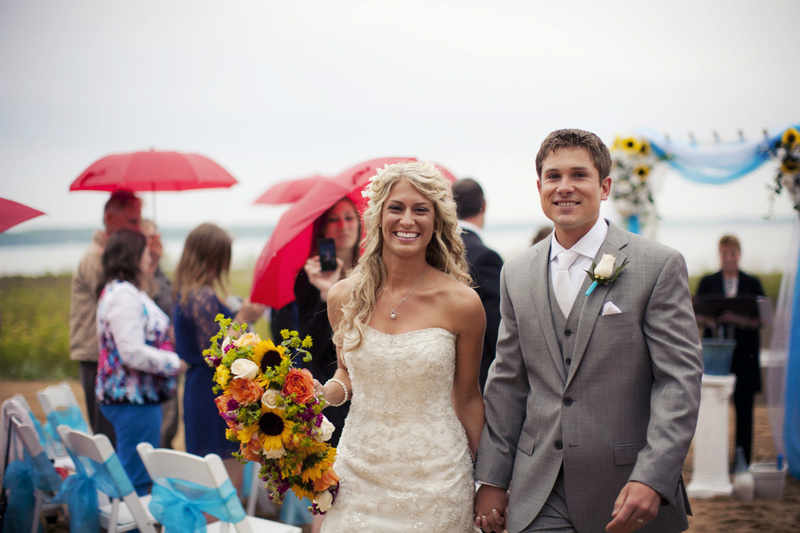 Trust the Cherry Tree Inn & Suites to host your beautiful Traverse City wedding. Located on the picturesque edge of Grand Traverse Bay, we’re the perfect choice for an unforgettable beachfront or banquet wedding. Each venue space can accommodate up to 50 guests, perfect for a memorable and intimate wedding ceremony or reception. Let our coordinator help you find the right vendors for you, including photographers, caterers and whatever else you need. Our friendly and helpful staff can even coordinate personalized welcome gifts or packages for your wedding party and guests. At the Cherry Tree Inn & Suites, we offer excellent group discounts including room blocking. Your coordinator and the courteous concierge will work with you to make it as easy and affordable as possible for you and your guests. After a wedding to remember, why not check into a luxurious bay-view suite you’ll never forget? Choose one of our spacious suites, complete with a two-person Jacuzzi, private patio/balcony and even a gas fireplace. We also offer romantic packages and add-on items such as chocolate truffles, wine and more. Contact our Sales Coordinator, Kristin Toedebusch, to get started on planning the wedding of your dreams!